If you have any question not answered below, please leave a comment, we’ll do our best to answer. How to get Roland Garros tickets? 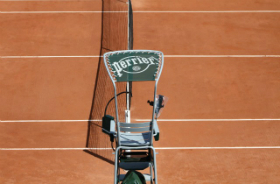 – official French Open agencies that propose exclusively VIP tickets and corporate hospitality offers. You can find the complete list here. 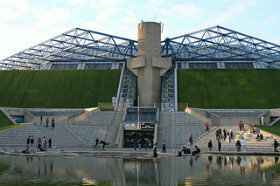 Read our article How to buy French Open tickets. When do French Open tickets go on sale? Ticket sales open to the general public on March 20, 2019. Premium packages are available for sale from March 6, 2019. What do qualifyings tickets give access to? It gives you access to courts 6 to 18. 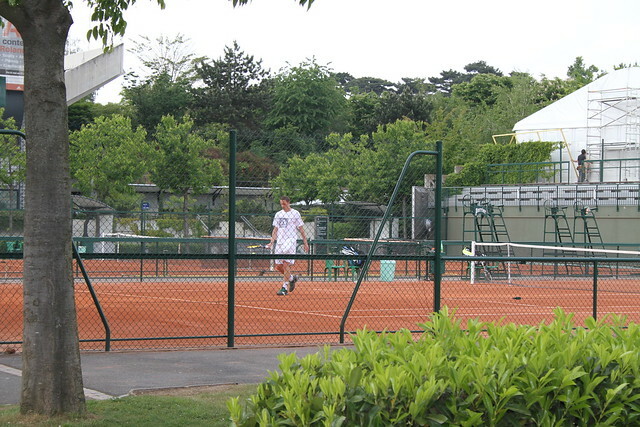 On Thursday and Friday you can also watch practice sessions on court Suzanne Lenglen. 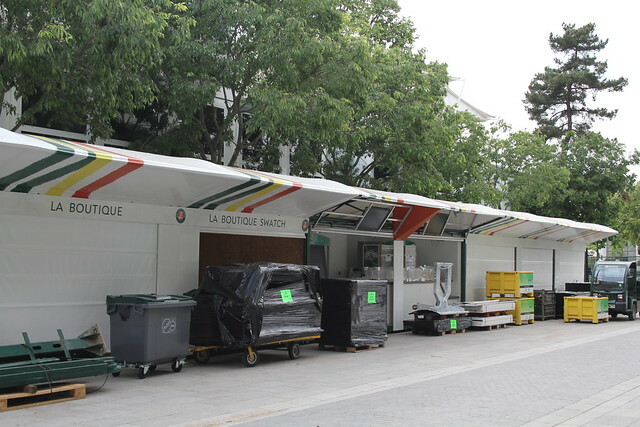 What do Philippe Chatrier tickets give access to? 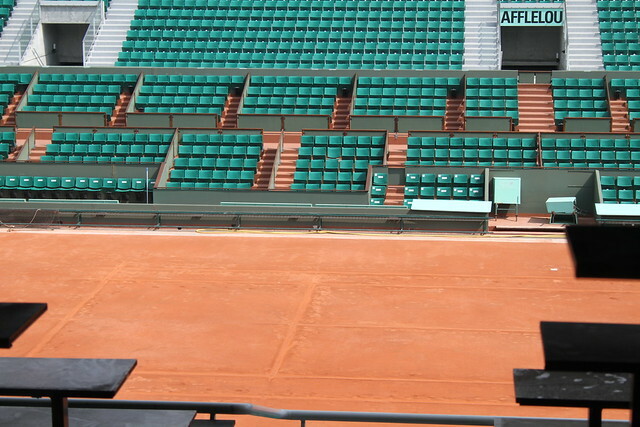 Philippe Chatrier tickets give you an allocated seat on court Chatrier, and access to outside courts (no allocated seat). What do Grounds Passes give access to? 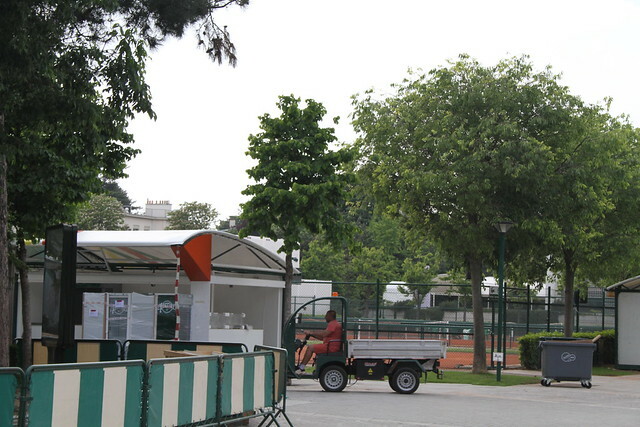 Grounds Passes give you access to all courts except Philippe Chatrier, Suzanne Lenglen, or Simonne Mathieu. There is no allocated seat, seating is on a first come first served basis. 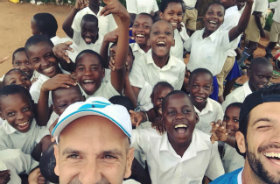 What is the Roland Garros Kids Day? Previously known as Benny Berthet Day, Roland Garros Kids Day is a charity event, devoted to fund raising for charitable organisations. 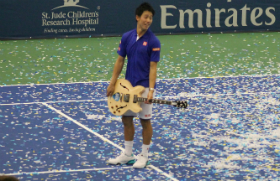 On the eve of the tournament’s opening day, tennis stars are invited to take part in one set exhibition matches. So, for 20 euros, you can watch some of the top players in action and help a good cause! When will the draw be published? 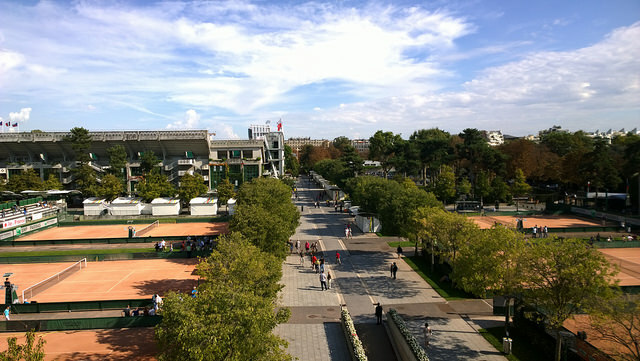 How to get to Roland Garros Stadium? 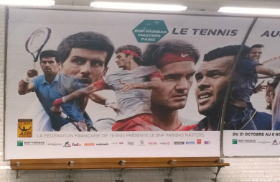 The easiest way to get to Roland Garros is by public transport. The closest subway stations are porte d’Auteuil and Boulogne-Jean-Jaurès on line 10, Michel-Ange-Auteuil and Michel-Ange-Molitor on line 9. Shuttle buses are also available for the duration of the tournament to transport ticketed passengers to and from the stadium. Casual wear and comfortable shoes. Take clothing suitable for all conditions and don’t forget a hat, sunglasses but also waterproofs. May I bring food into the Stadium? Yes, and you should of course, because food in the stadium is overpriced and lacks variety. You’ll also avoid queues. There are bakeries and supermarket nearby, where you can buy sandwiches, drinks… But don’t bring cans, glass bottles or bottles over 1.5l. Yes, sure. But camera tripods and camera lenses of more than 20 cm are not allowed. Don’t forget to charge your camera battery and bring extra memory cards. 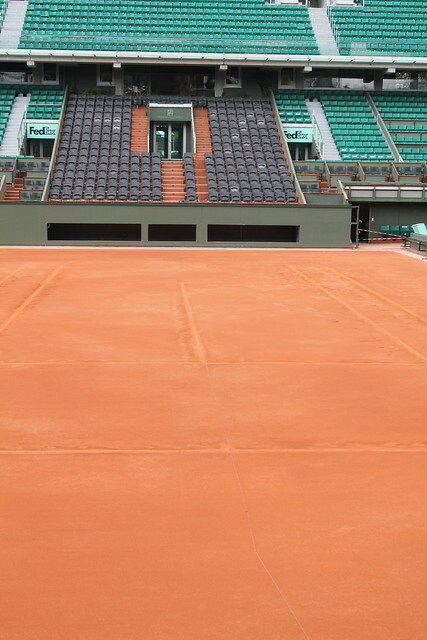 Roland Garros doesn’t have any courts with roofs, so when it rains, play stops. There isn’t a lot of covered space to hide. If play has lasted less than two hours over the entire day, you may be eligible for a refund. Where to find the schedule of play? The schedule of play is released each evening and is posted on the official website as soon as it is made available. 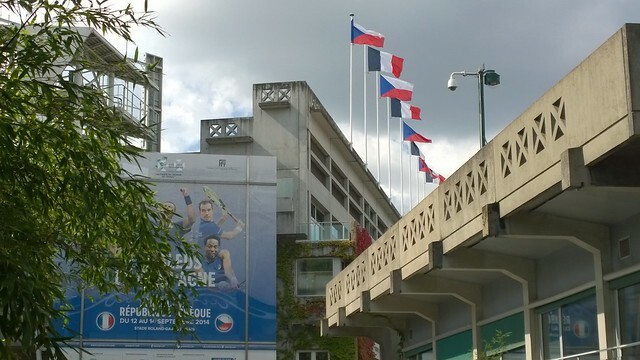 It is also displayed next to the big screens on Court Suzanne Lenglen. 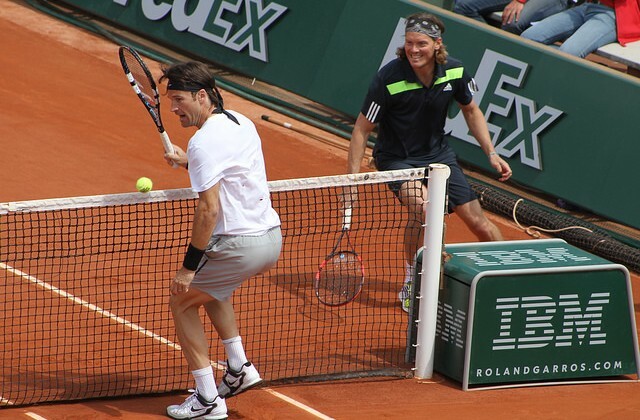 Grab a free copy of the daily Roland Garros newspaper and have a look at who is playing where. Do they really verify the name on the ticket at the entrance to the stadium? – when you enter a show court, you have to show your countermark ticket again, so don’t lose it! Can I leave the grounds and come back later? No! Any exit is final. Not a tennis player, but a French national hero who perished in World War I. Roland Garros was a pioneer aviator who made the first solo flight across the Mediterranean Sea. He was killed in aerial combat in 1918. Please leave a comment below if you have any question, I’ll answer the best I can. 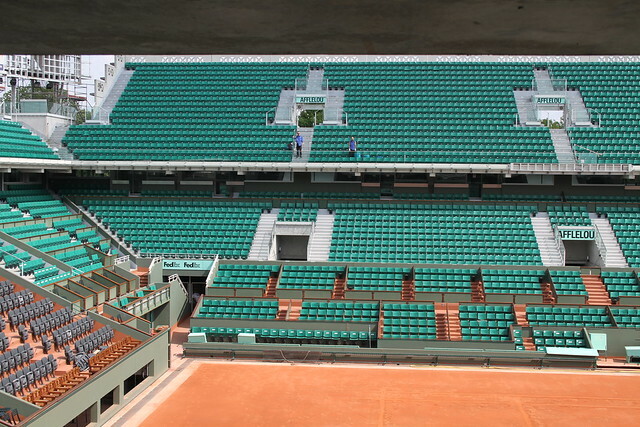 Are there any Roland Garros tickets left? The Viagogo Roland Garros exchange ticket website allows you to buy or resell tickets until the event date. More infos here. Two different types of evening tickets are also released for online sale one day in advance. 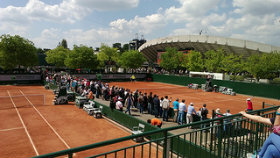 The “Outside Courts Ticket” gives access to the outside courts from 3:00 pm, while the “Evening Visitors Pack” allows you to queue for a chance to obtain a seat in one of the three main courts after 5:00 pm, depending on availability. The easiest way to get to Roland Garros is by public transport. • porte d’Auteuil Station: this station is the closest to Gate B – Mousquetaires, the biggest gate into the Grounds. • Boulogne-Jean-Jaurès Station: this station is nearest to boulevard d’Auteuil where the least congested gates are located: Gate I – Suzanne-Lenglen, Gate K and Gate L. Waiting time is often less than 5 minutes. Lines 22, 32, 52, 62, 72, 123, 241. Shuttle buses are also available for the duration of the tourmanent to transport ticketed passengers to and from the stadium. The schedule of play is released each evening and is posted on the official website as soon as it is made available. It’s handy to have a printed version so that you can see who is playing on what court and in what order. 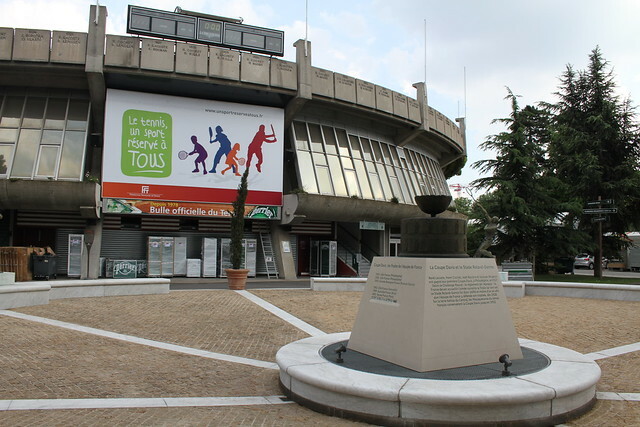 It is also displayed next to the big screens on Court Suzanne Lenglen and Court number 1. I want to see Nadal (Federer, Djokovic…) , but I only have outside court tickets, how to do? In the early rounds of the tournament, practice courts are the best place to get an up-close look at the top players. 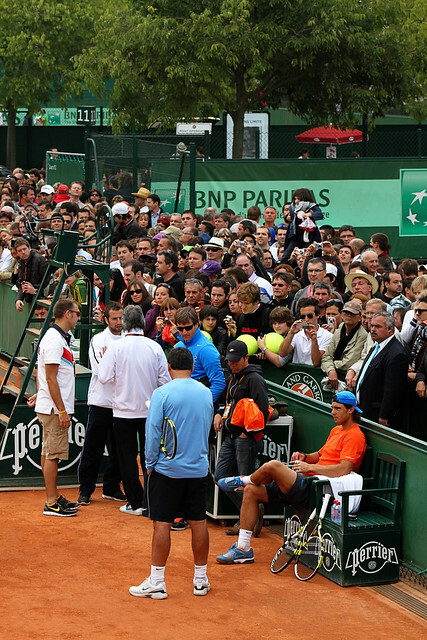 Autograph sessions with top players are also held daily at the RG LAB 2050, located at the top of the Allée Suzanne Lenglen – Gate W.
Where to find the practice schedule? Good question. Sometimes they put it on twitter but usually practice has already finished when they take time to tweet it. Don’t bother asking a steward, much of the time they don’t know or they don’t want to say and more often than not they have no clue of what’s going on. So, arrive early, wander around the grounds, and ask a Spanish, Swiss, Serbian fan, or a TV crew, they probably know where and when Nadal, Federer, Djokovic and co practice. Yes, and you should of course, because food in the stadium is overpriced – about 3 euros for a Pepsi Can – , not so good quality and queues are long. How is red clay made? Red clay is a complex mixture of several materials. The playing surface on each court is composed of a 8cm layer of sand, a 15cm layer of volcanic rock, a 8cm layer of limestone. It is topped off with a few millimeters of powdered red brick dust. The crushed red brick is pressed into the limestone and drenched in water. This process is repeated until a thin compact layer of clay coats each court. 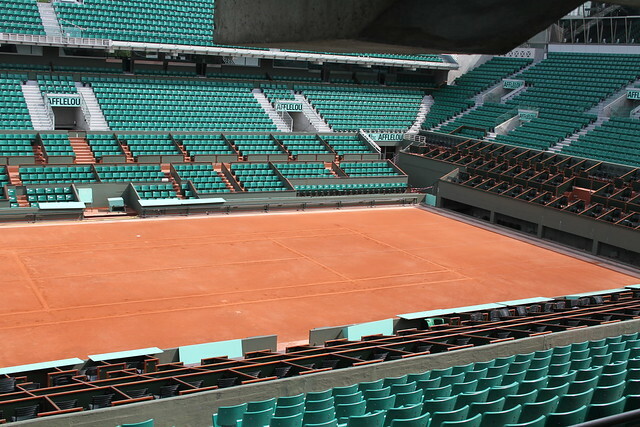 Roland Garros doesn’t have any courts with roofs, so when it rains, play stops. There isn’t a lot of covered space to hide. To kill time you could visit the stands and boutiques, take part in the activities at the RG LAB 2050 or have a break at Les Jardins de Roland Garros restaurant. If play has lasted less than two hours over the entire day, you may be eligible for a refund. 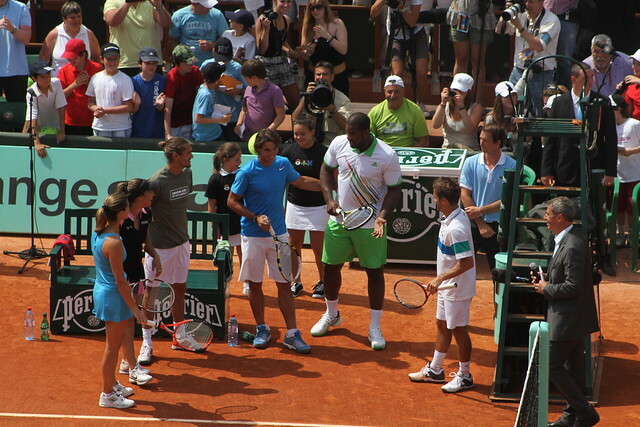 Who are the favorites for Roland Garros 2013? Nadal broke Borg’s record last year and won his 7th French Open title in 8 years. As long as he’s healthy he’s the favorite on his beloved red clay. Other contenders are the usual suspects: Novak Djokovic and Roger Federer. 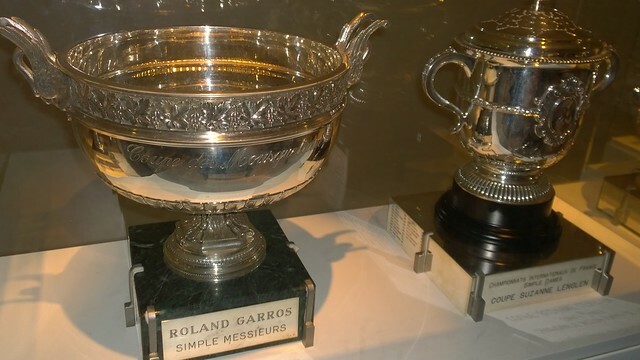 Roland Garros 2013 men's winner? The women’s draw is more open: Victoria Azarenka, Serena Williams, Maria Sharapova, Li Na and Sam Stosur are the main contenders. Roland Garros 2013 women's winner? What is the Perrier Legends Trophy? 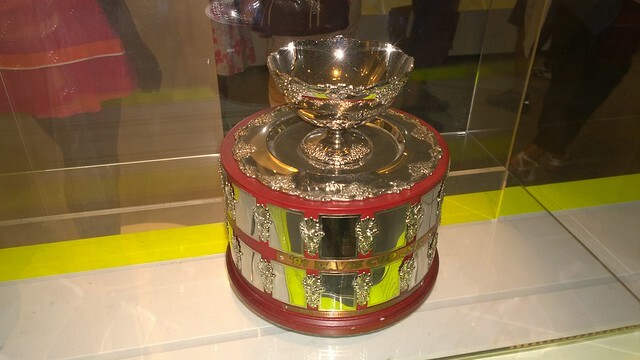 The Legends Trophy (Trophée des Légendes) brings together twenty-four of history’s greatest champions, grouped according to age in the two men’s draws, and twelve former women’s tennis stars. 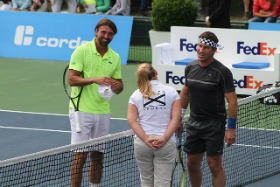 It is a great opportunity to watch some former champions play in a friendly and funny atmosphere. 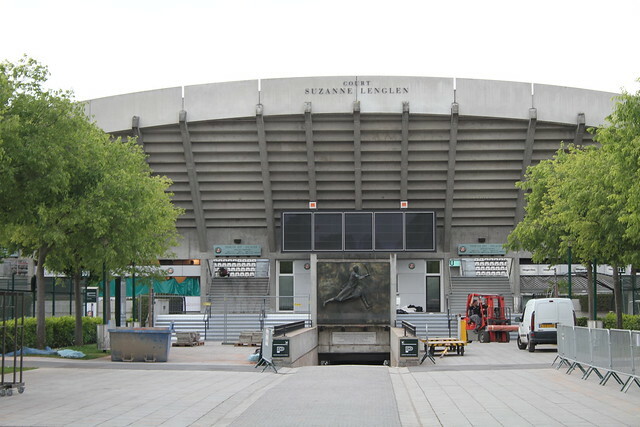 Matches are played on court 1 and court Suzanne Lenglen during the second week of the French Open. Previously known as Benny Berthet Day, Roland Garros Kids Day is a charity event, devoted to fund raising for charitable organisations. 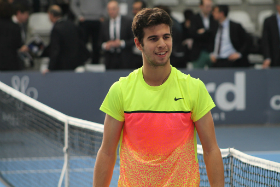 On the eve of the tounament’s opening day, tennis stars are invited to take part in one set exhibition matches. So, for 20 euros, you can watch some of the top players in action and help a good cause! Where in Paris can I watch the French Open on a big screen? A giant screen deployed at Paris City Hall will be broadcasting the major matches from the 2013 French Open. Hope it helped prepare your day at Roland Garros. If you have any question, leave a comment below and I’ll try to answer. 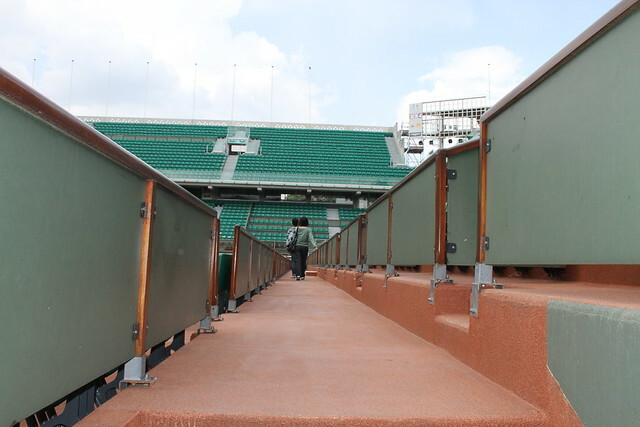 Pics of my Roland Garros guided tour today. More pics and vids to follow.